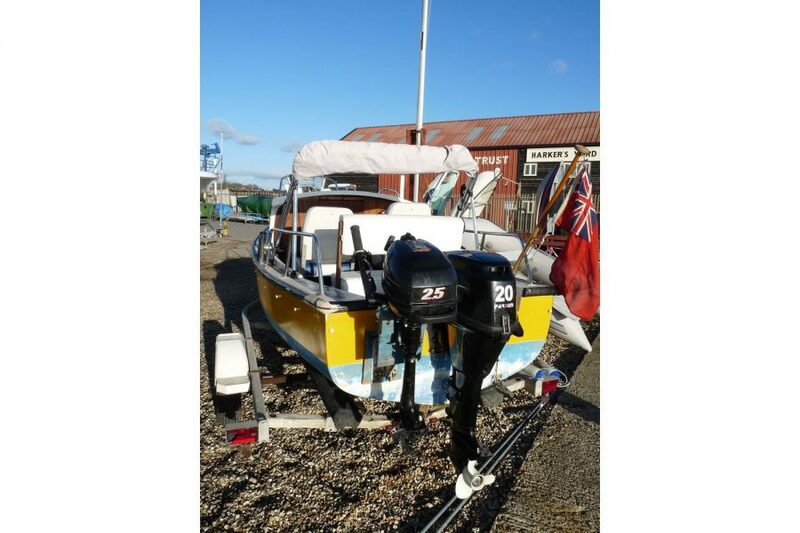 Go fishing and cruising with this delightful, inexpensive, traditional 16ft cuddy boat. 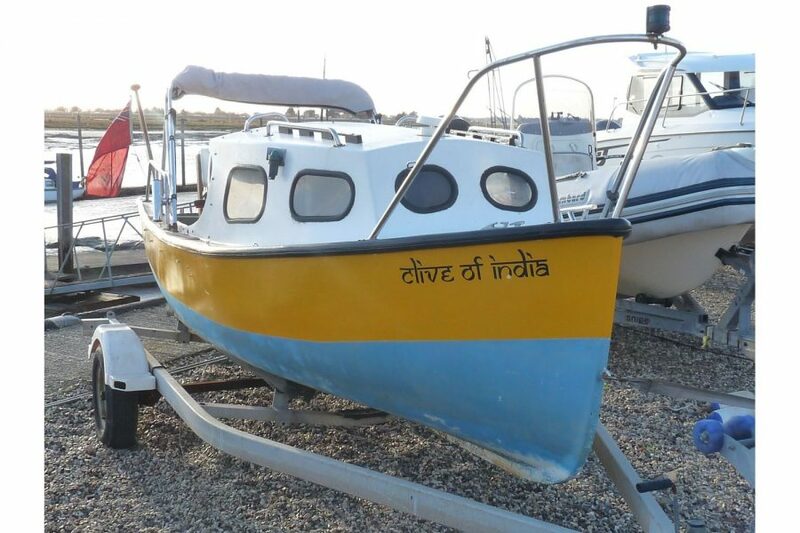 Designed very much along the lines of the more modern Orkney, with a central keel to stabilise steering and rocking. Complete with bulkheaded and door mini cabin. 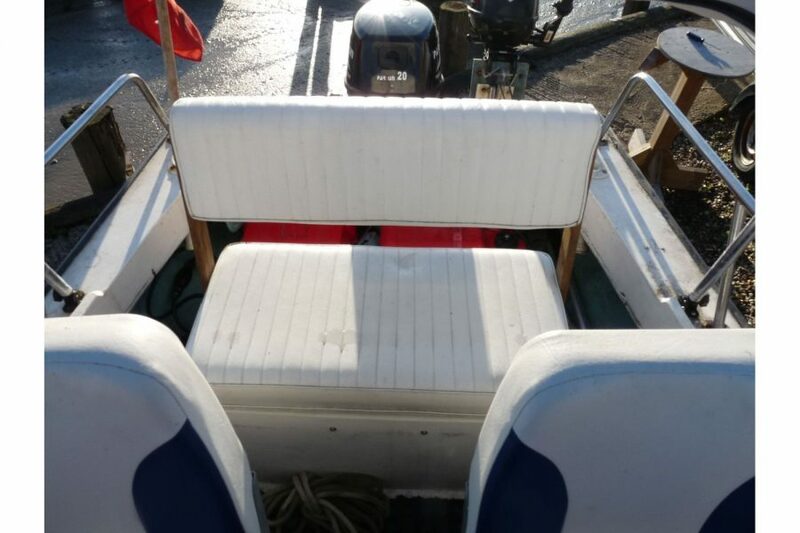 Cockpit furnished with captains chairs and back bench seat with 4 fish rod holders. 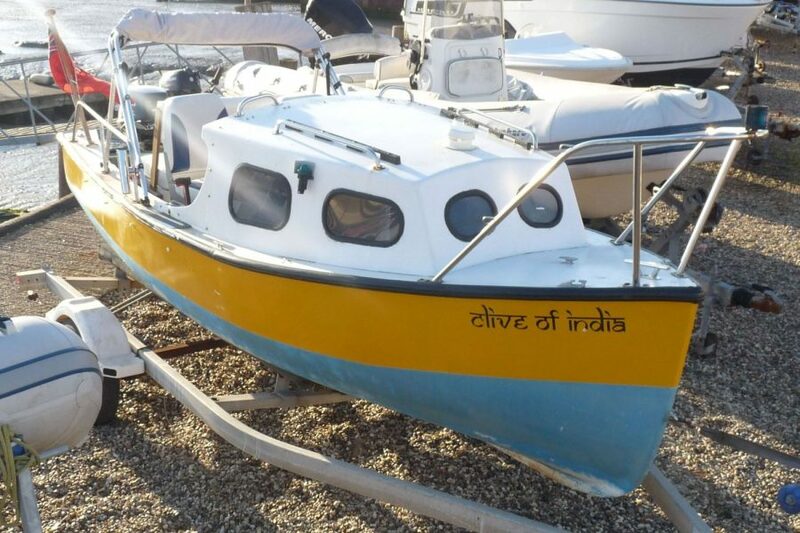 A great way to get on the water with an almost new engine for extra safety plus an auxiliary engine. Pulpit, pair of side rails and various grab handles for safety. 4x fish rod holders. Mooring cleats. Bimini top with aluminium frame. Auxiliary outboard bracket. 4 fenders + ladder fender + various mooring ropes. Ensign flag with wooden staff. Blue tonneau cover - in excellent order. 2 berth cuddy. Cabin windows. Lockable bulkhead door. 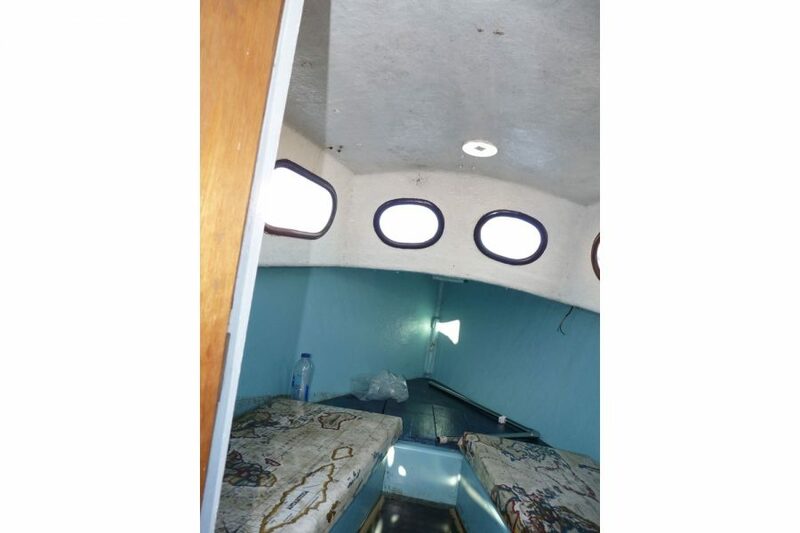 Cushions to berths. Ventilation skin fitting. 2x captains chairs on pedestals. Bench seat with swivelling backrest for forward or reverse seating. Various storage areas. 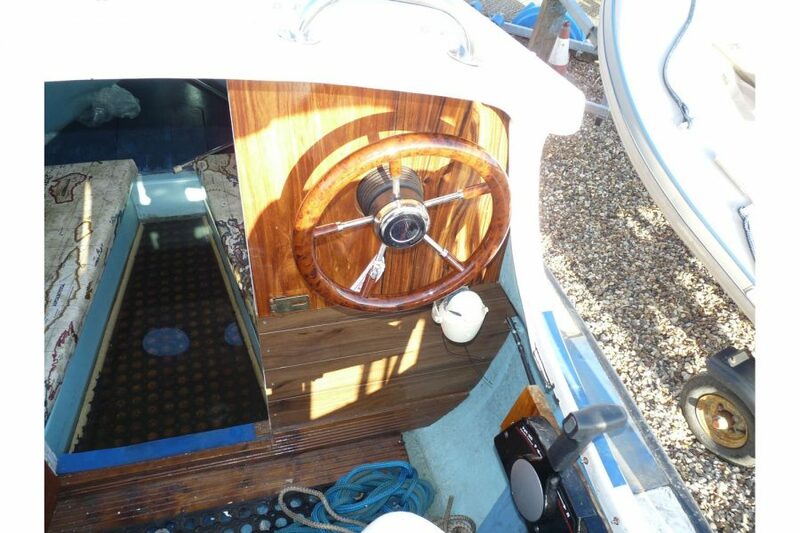 Ships wheel steering + engine controls. Garmin Striker - fishfinder / GPS. Torch battery operated navigation lights. 12v battery. 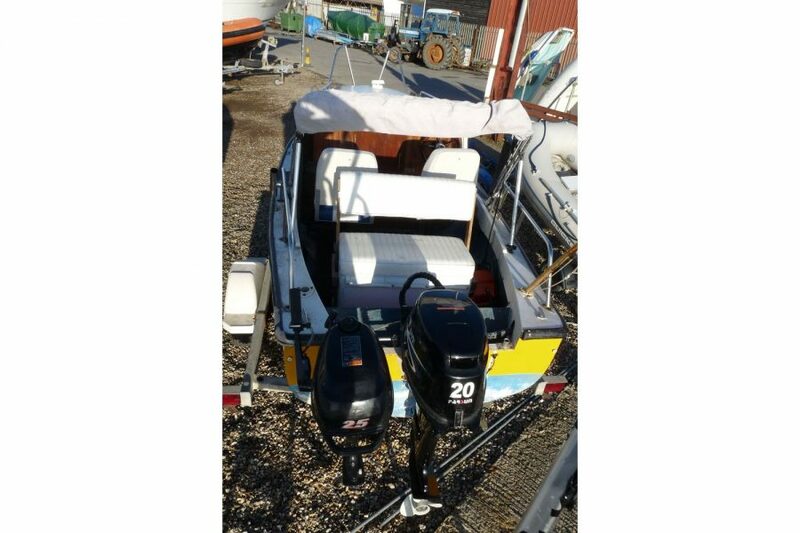 Parsun F20 AFW L 4 stroke outboard. Suzuki DF2.5 auxiliary outboard on aux bracket. Push / pull mechanical steering. 2x portable fuel tanks.